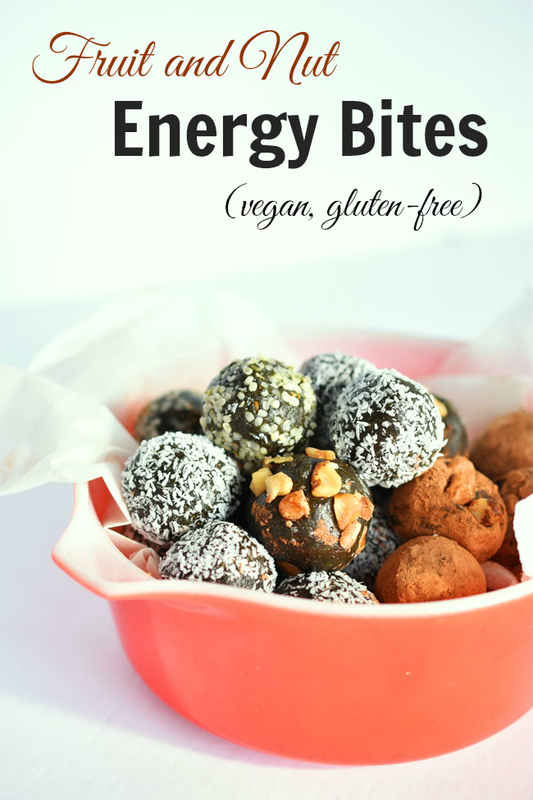 When I found out that DK has an entire book devoted to energy bites (it's called Energy Bites, haha), I was intrigued. I love a healthy, tasty portable snack more than anyone probably should. But seriously, how great is it when you have nutritious and delicious little bites of energy in the freezer all ready to grab on the run? 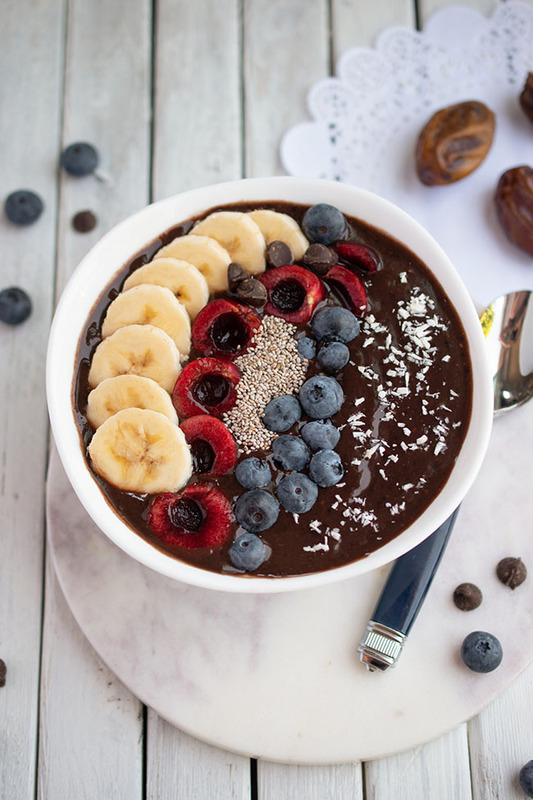 Energy bites are great when you need an afternoon pick-me-up, a post-workout snack or a quick solution for a growling tummy when dinner's not quite on the horizon. 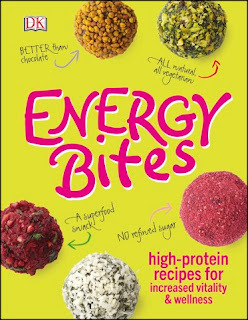 Energy Bites includes 15 high-protein recipes, combining protein-rich core ingredients with low-GI carbs and healthy fats. These recipes are intended to deliver slow-release nutrition to keep your blood-sugar steady and energy levels high. 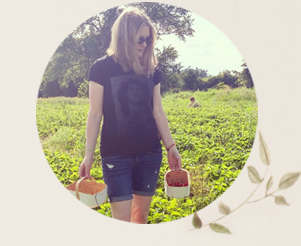 All of the recipes are vegetarian, gluten-free and free of refined sugar. Some contain egg so they aren't all vegan. There's a mix of bake and no-bake, plus sweet and savoury. To be quite honest, when I think energy bites, I think sweet. I was surprised by the possibilities for savoury options that are represented in this book. 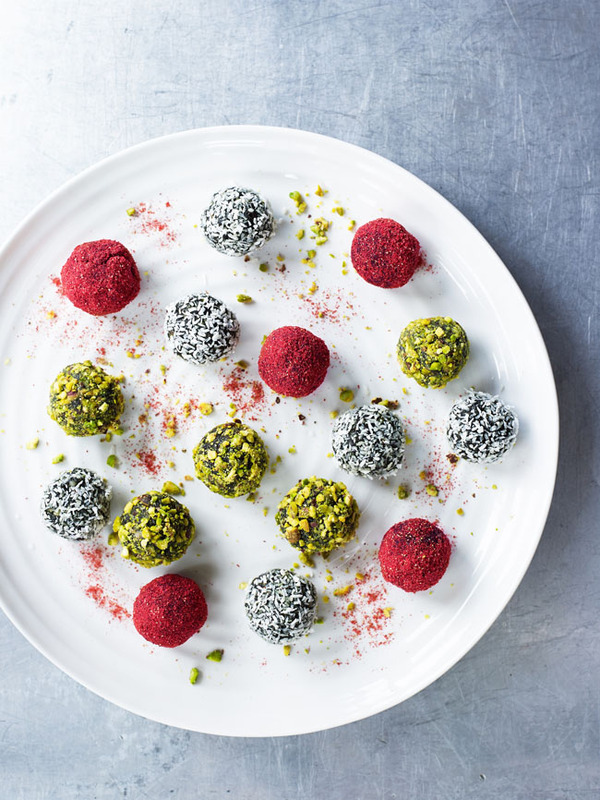 There are seven savoury recipes, like Carrot & Red Beet Buckwheat Balls, Broccoli & Maca Powerhouse Balls and Sweet Potato Spicy Bites. My fave topping is unsweetened, dried coconut. I also used cacao, hemp seeds and walnuts. This mix rolls easily into balls (thanks to the oil from the walnuts I would say). I must have made mine a bit on the small side because I got two dozen bites from the mix. The recipe suggests that it will make 16 energy bites. Aren't they pretty with their "dressings" on? I put the batch in a container in the freezer. They are soft enough to eat right from frozen. These Fruit & Nut Build-a-Balls are quite sweet, but you could change out the raisins for another ingredient if you want to make them less sweet. Be sure to try this recipe yourself! DK was kind enough to share it with us (below). Here is the official picture from the book, above. I love how these energy bites look coated in strawberry powder! I just need to get me some strawberry powder somewhere... As with any superfoods recipes, it can be an expense to get some of the ingredients for the Energy Bites recipes if you don't have them handy already. The spirulina powder is key to the Build-a-Balls recipe and I paid over $20 for a small bottle. Spirulina, a blue-green algae that grows in fresh and salt water, is said to have numerous benefits. It contains good amounts of protein, B vitamins, copper and iron, with only a small amount of fat and calories. Proponents say it's the world's most nutrient-dense food and can help us to stave off disease. In other words, it might be worth the $20. I try to buy one superfood-type grocery purchase each week or so to spread out the expense a bit. 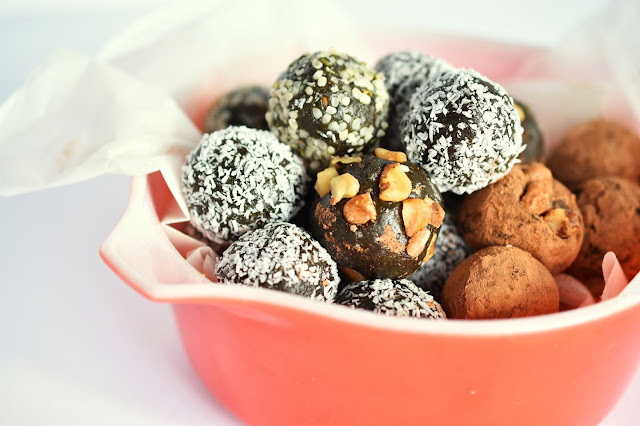 Energy Bites encourages us to look beyond the 15 included recipes - there are pages exploring the 20 top ingredients, additional superfoods ingredients and other great ingredients that can come together to make your own unique bites, depending on what you're craving and what you have in your pantry at the moment. The "Energy Bite Formula" is outlined in a handy visual chart too - you need only pick an item from each column (nuts, dried fruit, powders, sticky stuff and coatings) to make the perfect bite. The process of making no-bakes both in the food processor and by hand is also outlined, as well as the process for making savoury bites. Energy Bites is a fun little book that would make a great gift for the superfoods enthusiast in your life. Buy Energy Bites in the US. Buy Energy Bites in Canada. What ingredients do you like to pack into your favourite energy bites? 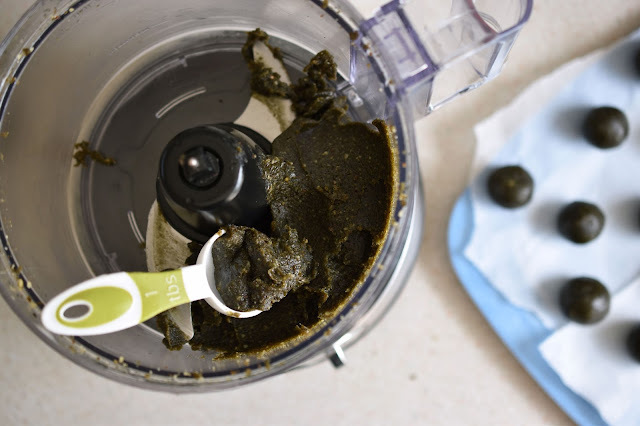 Put all the ingredients into a food processor and process until combined. 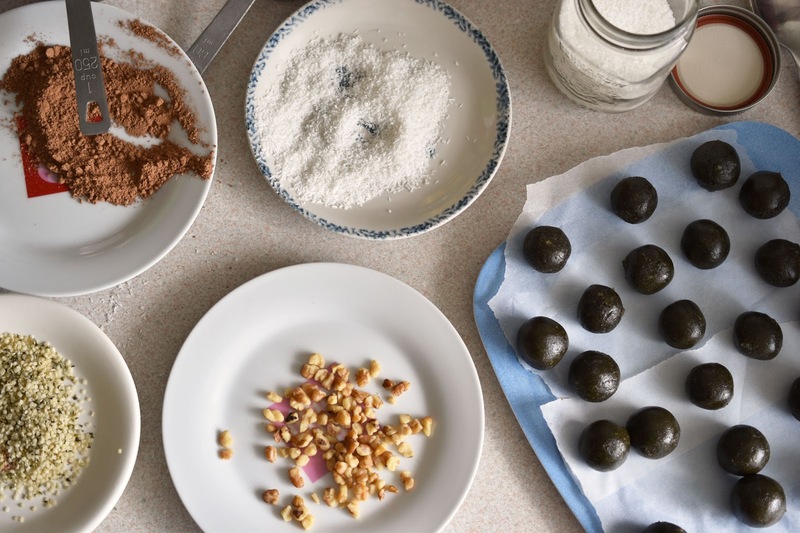 Divide the mixture into 16 even portions and roll into balls with your hands. On separate plates, sprinkle a layer of each of the coatings. Gently roll each ball into one of the coatings. Place the balls in the refrigerator for 1 hour, until firm, before eating. Best served chilled. Use ½ cup of store-bought nut butter instead of walnuts, and chop or mash your choice of dried fruit as finely as possible. Put all the ingredients into a mixing bowl, mix, roll, and coat, and—presto—a more textured build-a- ball. *I received this book for review purposes. All opinions are authentic and my own.